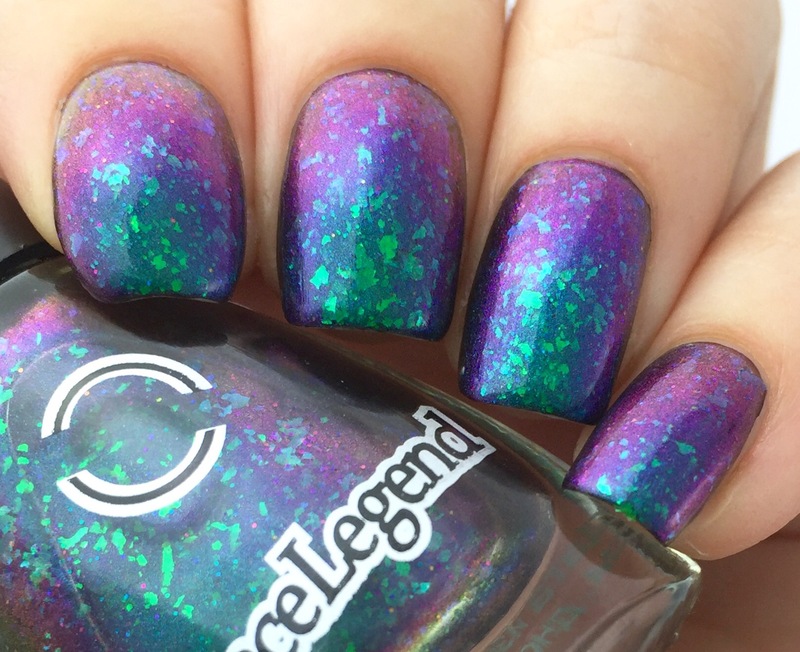 For your enjoyment today, I have a crazytown flakie multichrome polish for you. 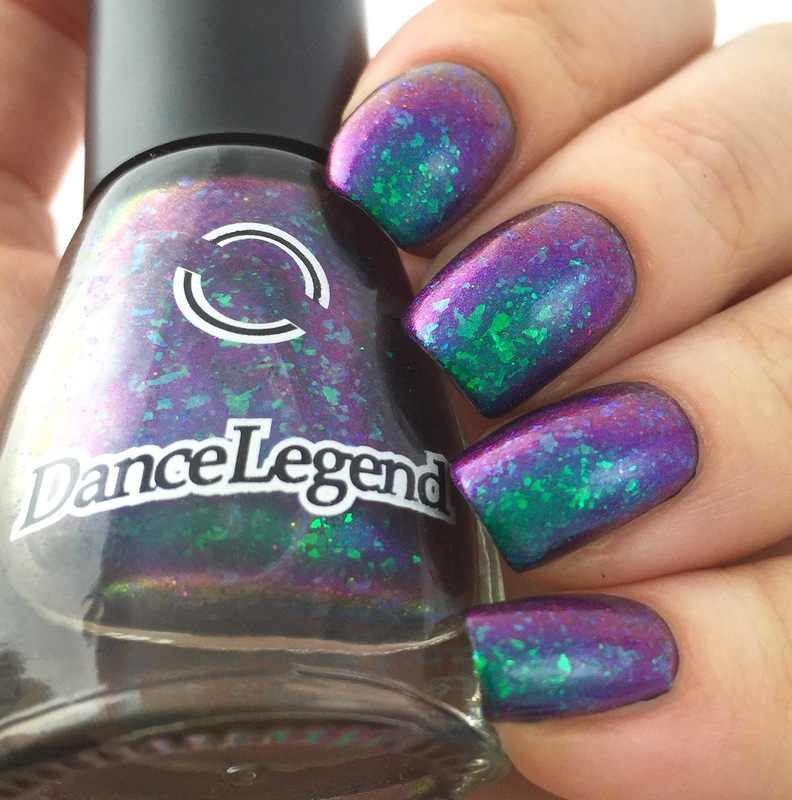 Feast your eyes on Dance Legend’s “Phobos.” Depending on the angle, this polish shifts from gold to magenta, violent, blue, and green. For variety-lovers like me, it also has medium/large flakies that shift blue/green and the barest hint of holographic microglitter. This has been sitting in my Helmer for more than a year and I have absolutely no idea why. Phobos is amazing! The colors and the flakies totally knock my socks off. To me, sometimes I get frustrated with how dark multichromes can look, especially around the edges. This is very vibrant and eye-catching from all angles and in all lights. oh my. I might need this to live. Multichrome with multichrome flakies?! Yes please! 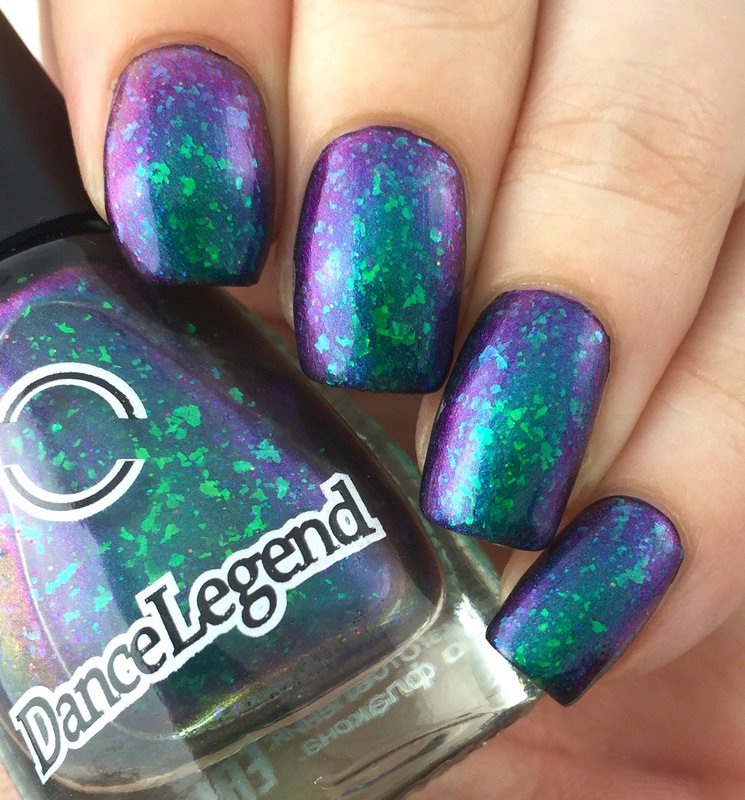 Um….this is the most beautiful polish I’ve ever seen. I just..can’t even. Wooooaaaaa mindblown!! That is one hell of a swatch my friend!! Thanks! It’s such an awesome color! This is a badass polish. Those are always my favorite! I saw your macro for this swatch on Facebook this morning and haven’t been able to stop thinking about it. Such a gorgeous color. Definitely worth the crazy man-hunt. What an incredible polish. Your swatch is perfection! Wow this is truely amazing. If it ever pops up on Rainbow Connection I’m gonna need it! Gorgeous swatch! This color is simplyamazing!! Oh My God!!! I NEED this!!! WOW!!! great photos!! !